UFC light heavyweight champion Jon Jones issued a brief statement before admitting himself into rehab after failing a random pre-fight drug test for cocaine. UFC president Dana White addressed the matter earlier today. 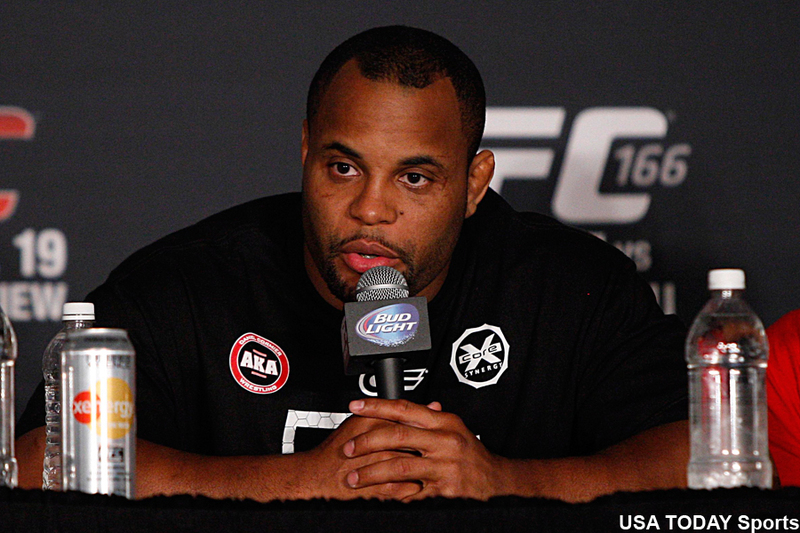 Now, it’s time to hear from the third man that’s indirectly connected to the controversy, Daniel Cormier (pictured), the man Jones dominated just five days ago at UFC 182 to retain his title. Like most in the MMA community, Cormier is disappointed that “Bones” continues to allow the bonehead choices he makes outside the cage overshadow his brilliance inside of it. “The fight is what it is, he won the fight. I don’t believe I won the fight,” Cormier admitted on this week’s edition of ‘UFC Tonight.’ “But how unfortunate: this is a guy who has the ability to reach people at a different level. Not many people can reach outside of the sport and world of MMA – I believe Jon can do that. Because cocaine is not banned out-of-competition by the World Anti-Doping Agency, the Nevada Athletic Commission cannot fine, suspend or overturn Jones’ victory to a no contest.